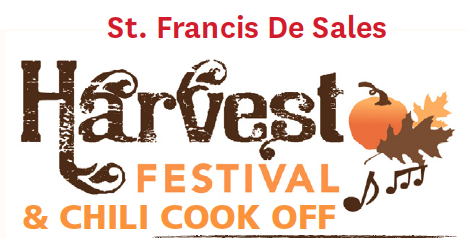 • The Chili Dinner and Cook-off Competition in the fall, and St. Joseph's Table/Spaghetti Dinner in the spring. These dinners give you the opportunity to share time with your fellow parishioners and school families and to meet people who will become new friends. • The Book of Angels. This is a way to memorialize your loved one by remembering our children. Those memorialized in the Book of Angels are remembered twice a year: on All Saints Day in November and on Catholic Schools Sunday in January a school child will carry a lit candle bearing the name of your loved one to the altar. Your loved one's name is written in the Book of Angels which will be placed in the Children's Chapel these two days. • Funeral Donations. When arranging for the funeral of a loved one, a number of families have graciously asked that, in lieu of flowers, donations be made to the Scholarship Fund, an act of loving kindness in a painful time which has benefited our St. Francis de Sales School students in need of assistance. • Family Movie Nights on the field and under the stars. • Volunteer! St. Francis de Sales School Scholarship Team is looking for new members who wish to get involved and make new friends while helping a group of deserving children. Even if you don't have children at St. Frances de Sales School, a parish school is everyone's responsibility. Without the support of the parish, our school could not exist. The mission and philosophy of our parish school depends on maintaining a bond between the parish and school. Please contact the School Office or Parish Center for more information and further details to join the Scholarship Team, memorialize your loved ones in the Book of Angels and help our efforts to raise funds for our Scholarship Program.